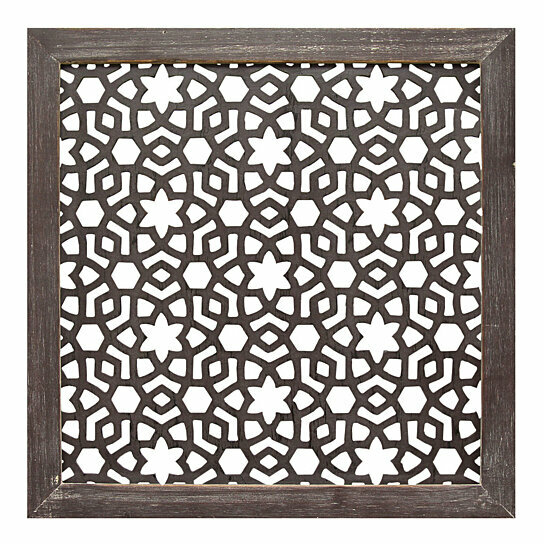 The Stratton Home Decor Framed Laser-Cut Wall Decor makes a traditional accent piece in any living space. This square piece is framed in distressed espresso wood and laser-cut metal. Hang it with other traditional pieces for a cohesive look. Care instructions: Wipe clean with damp cloth. Material: 50% Wood, 50% MDF. Color: Distressed Espresso.